Need something to help you stay awake after waiting in line all night for the new iPad? A bunch of new iOS games can help you out there. We've got the cream of the iPad gaming crop listed here; some are already optimized for the new Retina display, while others have updates on the way. Take a look at the list and stock up! While you're tapping your foot waiting for Infinity Blade: Dungeons to come out, you should be brushing up on Infinity Blade II with the new iPad. The franchise has long been a poster-boy for iOS gaming, and though the prequel promises to be great, Infinity Blade II has recently been updated to take full advantage of the new iPad's killer screen resolution. The game takes you through a series of one-on-one pitched duels against guardians of an ancient tower. Swiping on the screen translates to different directions of attacks, which must be timed properly to get through an enemy's defenses and parry their attacks. You've got a wide variety of weaponry, armor, and magic at your disposal, which you gather over time by defeating enemies or biting the bullet with in-app purchases. Enemies are randomized, making each play-through unique, but most of all, the game just looks really, really good. 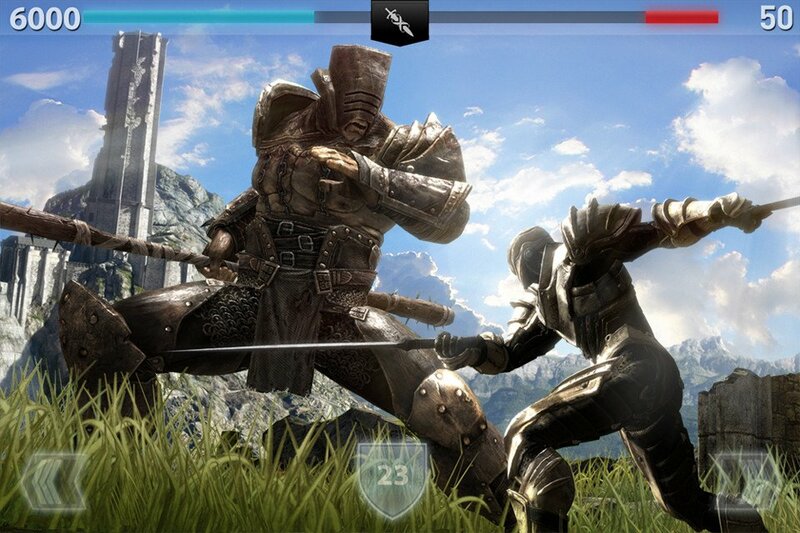 If you haven't already put a decent amount of time into Infinity Blade II yet, you really should. Although Infinity Blade: Dungeons isn't available just yet, the other game Apple showed off at the new iPad announcement is Sky Gamblers: Air Supremacy. It hit the App Store last night, offering new iPad owners a great flight combat simulator with some breathtaking visuals. Its's got full support for multiplayer so you can get into some intense dogfights with your buddies. There's also a campaign mode, and over 40 different jet configurations which you can tweak to suit your flying style. 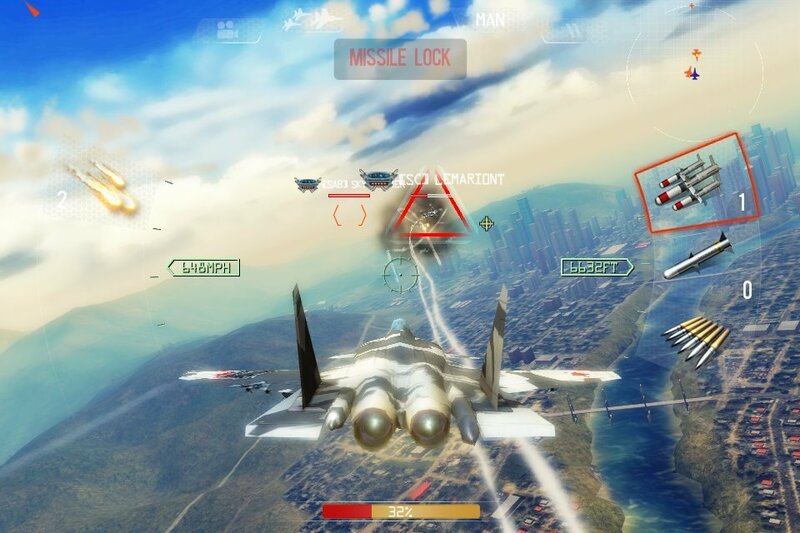 Seeing as Apple had enough faith in this game to use it to showcase the new iPad's graphical processing power, I have a feeling Sky Gamblers; Air Supremacy will look and play great. 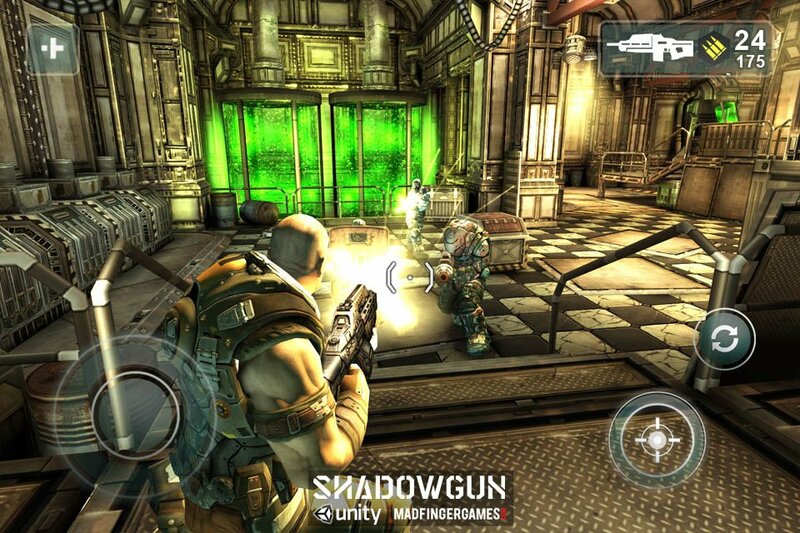 Shadowgun is a third-person shooter that takes place in a dystopian future where mercenaries enforce corporate policies and engage in help executives eliminate competition. You play one bounty hunter who has been tasked with taking out a mad scientist who is creating an army of mutant warriors. You get a bunch of awesome sci-fi weaponry to plow your way through the hordes. While the gameplay is a traditional over-the-shoulder, shooting from behind cover style, the lighting in the game is particularly good-looking. Shadowgun has is one of the more graphically-intensive mobile games out there, and should give you an idea of just how powerful the new iPad is - especially if you've played the game before on another device. 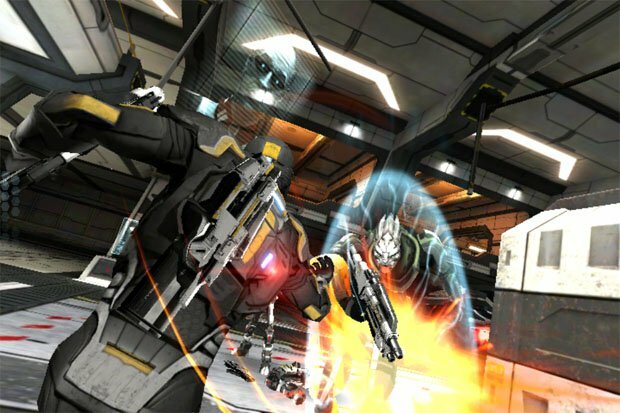 Shadowgun was often used to showcase what Nvidia's quad-core graphics are capable of, and I'd be really interested in seeing its performance side-by-side with Apple's own quad-core GPU, especially once it's optimized for iPad-sized Retina resolution. Madfinger tells me Shadowgun will be updated as soon as Apple starts selling the new iPad in the Czech Republic where they're based, which is on March 23. I gather that to mean they need to buy one to test with before they can get everything optimized, so we might have a bit of a wait on our hands. Although the Modern Combat franchise is a shameless "homage" to many of the military shoot-'em-ups available on PC and consoles, Gameloft has done a great job bringing the genre to mobile. If you've got a new iPad, Modern Combat 3: Fallen Nation stands a good chance of convincing you that yeah, maybe this thing actually can displace demand for Xbox 360 games. 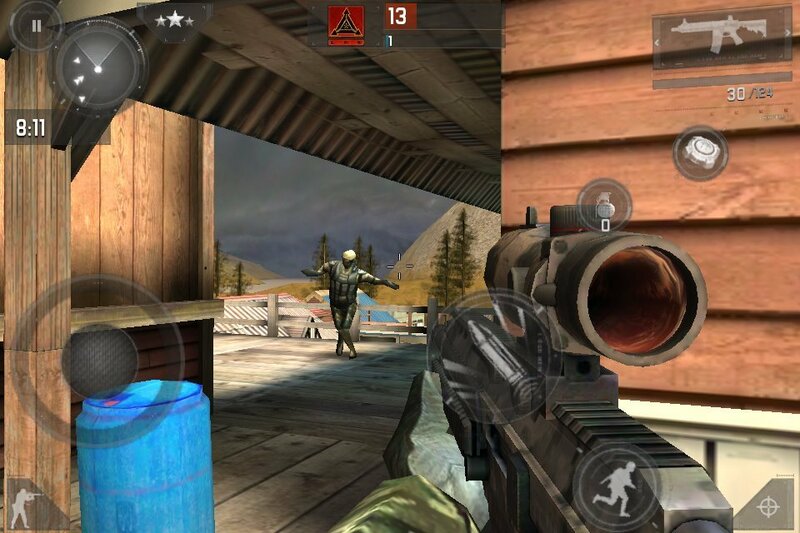 Modern Combat 3 has all of the trappings of your traditional first-person shooter: unlockable rewards, ranking up, multiplayer, achievements, and customizable weapons and class kits. I particularly enjoyed the accelerometer control in the game, but it takes a fair bit of getting used to. While Modern Combat 3: Fallen Nation isn't yet updated for the new iPad, I've been told by Gameloft that the iPad version will be Retina-ready in the next week or so. Looks like the update just went live! Woo! Since it's going on sale now for $0.99 (down from $6.99), I'd say it's worth picking up. Real Racing 2 is arguably the best racing game available on iOS. It's got some exceptional textures, sensitive accelerometer-based steering, and great integration with Airplay for split-screen multiplayer on your TV. While I'm partial to goofier racing games, like Burnout Crash (which, coincidentally, is coming to iOS soon), Real Racing 2 is what you want to pick up for a classic, white-knuckled racing experience. 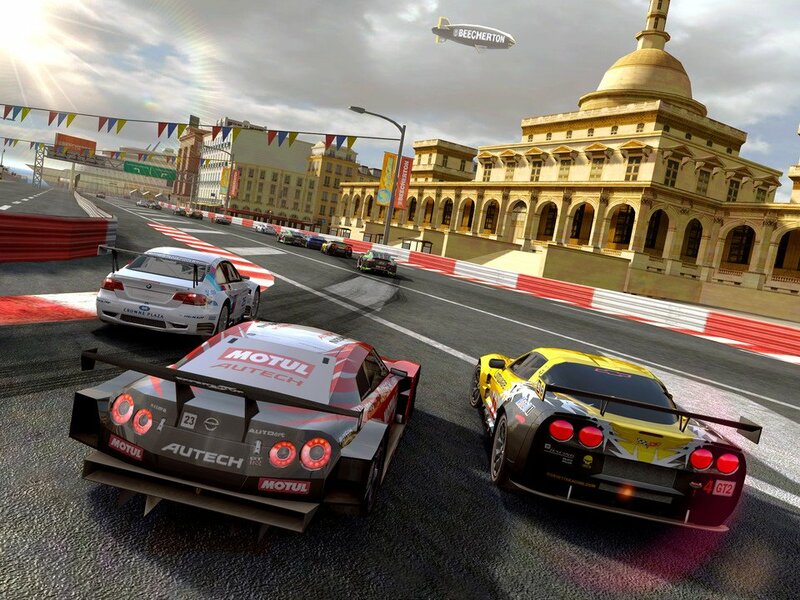 Real Racing 2 for the iPad is Retina-ready, and it's on sale! Buckle up and get downloading! Although it's relatively new, Mass Effect: Infiltrator has proven to be one of the bigger titles launched on iOS recently. The game has a great tie-in with the Mass Effect 3 game on consoles and PC, while still being a great duck-and-cover shooting game in its own right. You play a human supremacist militant gone rogue in a sci-fi world about to be overrun by an intergalactic threat. As you blast your way through a plot of treachery and deceit, you upgrade your various high-tech weaponry, gather incredible new biotic powers, and make tough decisions which will come back to haunt you later on. For a closer look, chomp down on our review. Mass Effect is a great franchise, and it keeps the production values high as it comes to iOS. 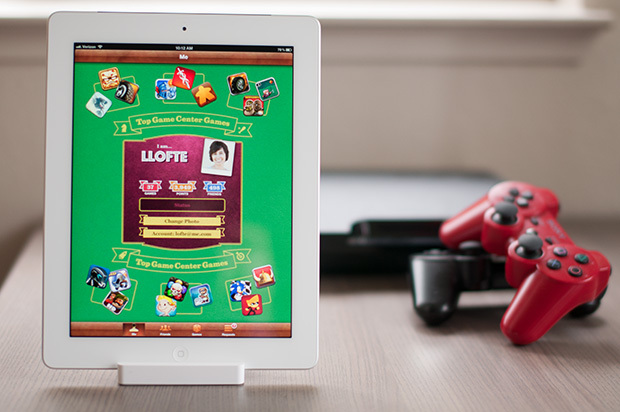 The game is already optimized for the new iPad, so have at it! There is, of course, a big wide world of iPad games beyond this. Have you guys found any particularly great titles that have been updated to take advantage of the new screen resolution?